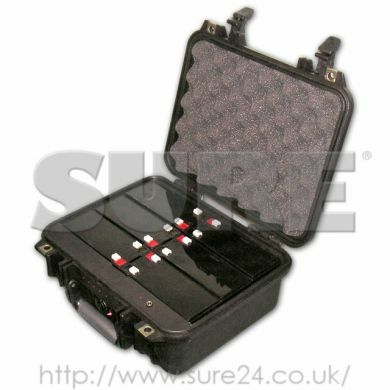 6 x 7 Amh supplied fitted into an indestructable PELI Case. Provides 12 Volt power where no mains available. Array of 6 LED's to indicate remaining life. Nominally 12 volts. 13.8 dropping to 11.5 then switches to next battery. Portable and weatherproof. Lifetime Guaranteed PELI case.